You’d think the 97 percent of scientists who supposedly all agree about climate change would eagerly line up to vanquish climate deniers - but apparently not. Aha! Right there is the key objection to the entire exercise: the risk to their political power. These activists know that climate change long ago stopped being about science. It is a liberal, big-government agenda wrapped up in a green cloak of superiority and virtue. For the past decade, the pro-climate crusaders have ruled policymaking, from international organizations to federal agencies down to your local park district. The Trump administration poses the first threat to their dominance, and instead of being up to the task of defending it - in public, with evidence and not platitudes, facing scientists they have smeared for not being part of the ‘consensus’ - they want to walk away. That’s why I hope Pruitt proceeds with it. Let the blue team have an empty bench that will show American exactly what they think of ‘science’ - and them. We have all heard about the record-breaking ice mass balance and cold temperature reading of -33C recently set in Greenland - the Arctic island that is supposedly the canary in the climate coal mine. It turns out that things up there are colder than we may be led to believe and that the alleged warming there is fiction. Citing the Danish Meteorological Institute, the BAZ comments that the -33C reading earlier this month was “the coldest July temperature ever recorded in the northern hemisphere”, smashing the previous record of 30.7C. The BAZ adds that also the “ice cover has grown strongly over almost all of Greenland”. Recently NTZ reported here that Greenland in fact has been cooling over the past decade, as three recent studies alarmingly show us. 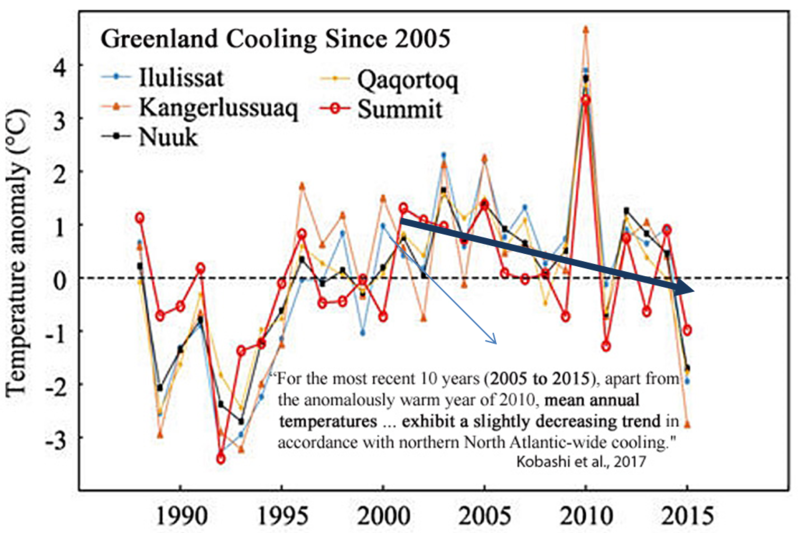 According to one published in May of this year by a team of researchers led by Takuro Kobashi of the University of Bern, mean annual temperatures at the summit of Greenland have been showing “a slightly decreasing trend in accordance with northern North Atlantic-wide cooling”. See chart below. Greenland’s temperatures headed in the wrong direction, defying climate model projections. Underlying chart source: Kobashi et al., 2017. Warm optimum near an end? 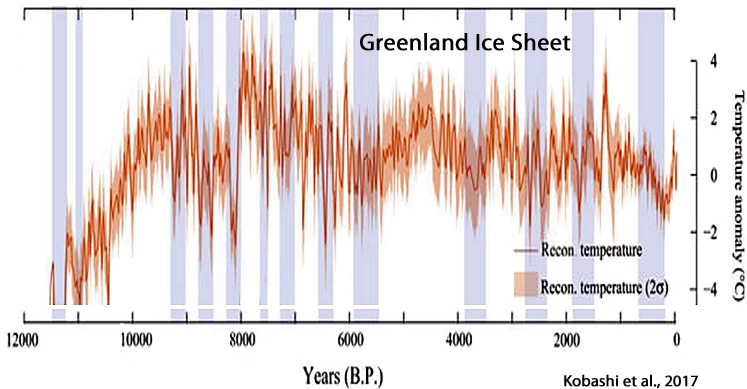 Greenland temperatures were much warmer over past 10,000 years than they are today. One has to wonder if the current optimum may be nearing an end. History shows that the earth’s surface temperature is in fact highly unstable and that most optimums don’t last much beyond 10,000 years. We need to ask ourselves what could be done to avert the catastrophe that a new ice age would bring with it. The overall trend does not bode well. See this post on Greenland Ice by Tony Heller on the “Year Wittout an Arctic Summer”. 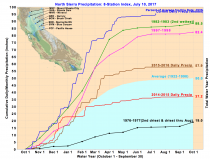 California precipitation is tied to the state of the Pacific Ocean (both ENSO where the El Ninos which are usually wet and La Ninas which are usually dry and the longer term Pacific Decadal Oscillation which influences the strength and frequency of El Nino and La Nina). 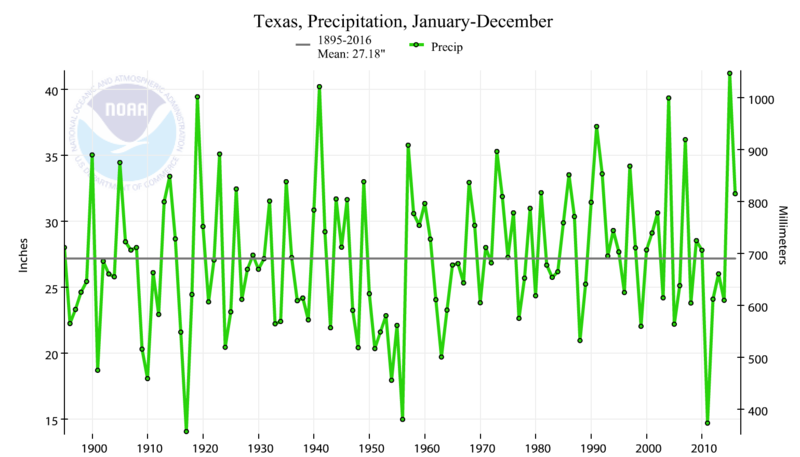 It is highly variable but the long-term trend is a meaningless +0.01"/decade or +0.1” per century. That however does not stop climate scientists trolling for dollars or media environmental reporters from making it into a scare story. 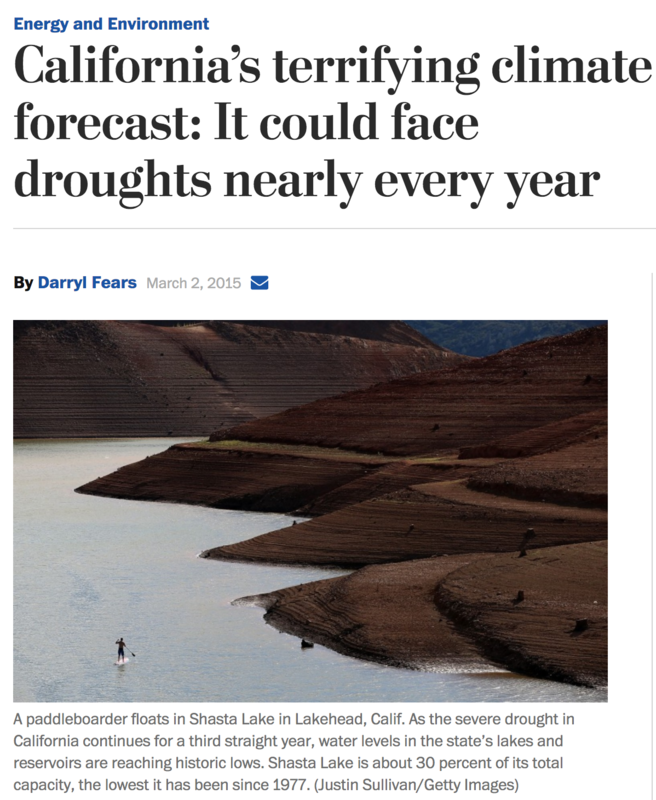 Back just over a year ago in 2015 at the end of the two year drought, in the Washington Post, Darryl Fears had these headlines with many universities predicting future heat and drought and raising the possibility that is had already started! The reporter actually did a lot of research into university research. Little did he know it all is nonsense. But then came the 2016/17 wet season which in places had the all-time record precipitation and snowfall (over 200% of normal). “What I am arguing is El Nino-like years are going to become more the norm in California,” said researcher Robert Allen. Heavy rain coupled with severe erosion caused the winter 2017 damaging of the Oroville Dam in northern California. New climate models run by scientists at the University of California, Riverside project that the northern part of California could experience increased rainfall through 2100. July 6 (UPI)—Climate scientists now expect California to experience more rain in the coming decades, contrary to the predictions of previous climate models. Most scientists agree that California, like most places, will get warmer through the end of the century. 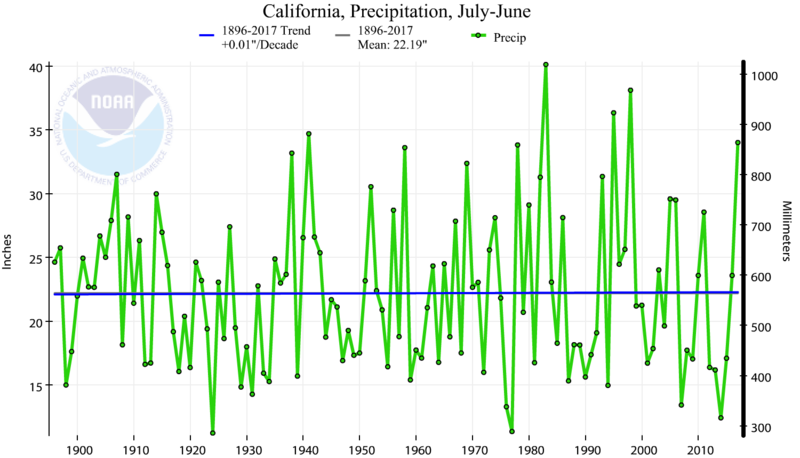 And until now, most agreed California would get drier. New research out of the University of California, Riverside, however, suggests otherwise. The new models predict the state will enjoy a 12 percent increase in precipitation totals through 2100. Both central and northern California will get wetter, according to the models, while Southern California will experience slightly less precipitation through the end of the century. Most of the increase in precipitation will be during the winter months. Weather variability makes it difficult to project how climate change will affect rain and snow totals. Predicting future precipitation totals in California is further complicated by the fact that the northern half of the state is expected to get wetter while the southern half is predicted to get drier. But predictive climate and weather models are growing more sophisticated, allowing scientists to quiet the noise of yearly variability and focus on longterm patterns. The new research—detailed in the journal Nature Communications—suggest increasing surface temperatures in the tropical eastern Pacific Ocean, lying to the 2,500 miles east, will encourage a local trade wind delivering a larger number of storm systems to the California coast. 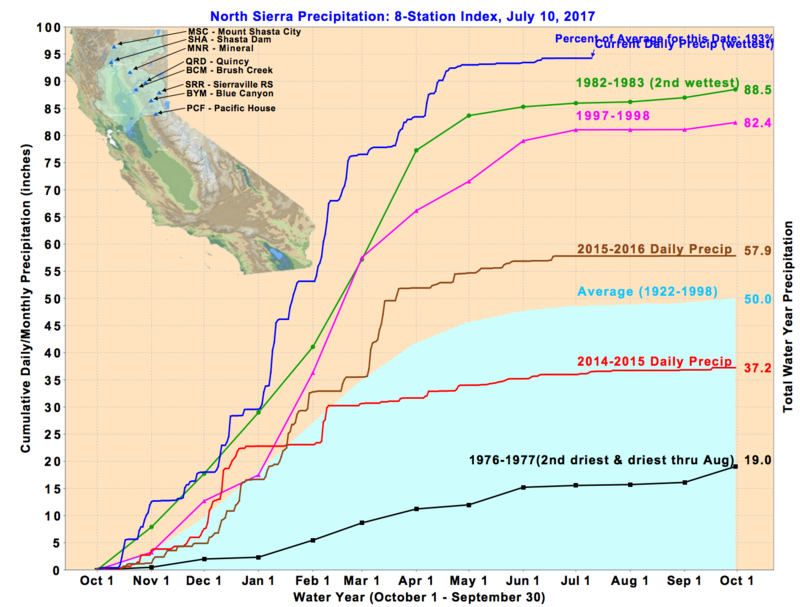 In other words, California’s future is likely to look more like the past two years, during which the state enjoyed record rainfall totals. This is a little like Texas where the drought of 2011-2013 was supposed to be the start of a permadrought...but then came the flooding. Note the multi-year (7) more serious drought in the 1950s - both a reflection of the 60 year multidecadal ocean cycle? The long term trend was flat at the time of the drought early this decade, now it slightly up since 1895. Ex-President Obama seems to have suggested in a speech that tearing up the Paris Agreement is a symptom of “an aggressive kind of nationalism” which threatens Democracy. My question - why doesn’t Obama mention all the greens who seem to think Democracy is an impediment to environmental progress? Former President Obama on Saturday issued a strong warning against the new trend toward “an aggressive kind of nationalism” and emphasized the importance of the Paris climate agreement, which the U.S. plans to break. Obama called out at least one of his successor’s policy changes without mentioning President Trump by name. He went on to note “the temporary absence of American leadership” on fighting climate change. “What we will see is more and more people arguing against democracy, we will see more and more people who are looking to restrict freedom of the press, and we’ll see more intolerance, more tribal divisions, more ethnic divisions, and religious divisions and more violence,” he continued. Can anyone think of a single mainstream climate skeptic who opposes Democracy? Unfortunately I have not located a copy of ex-President Obama’s full speech. But even if my impression of what Obama said is wrong, it seems pretty cheeky for Obama to mix opposition to climate advocacy and accusations of threats to Democracy in the same speech, given the number of prominent greens who seem to think Democracy is not up to the job of saving us from Climate Change. January 2011: Former NASA GISS Chairman James Hansen praises the Chinese dictatorship’s ability to take “the long view” on climate change. It is all a monumental hoax based on a lie and and an agenda as my former compadre, John Coleman said. 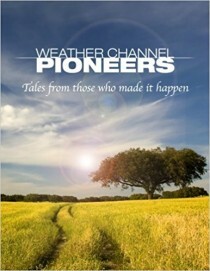 Al Gore’s new movie is coming out in August. Roger Revelle was Al’s hero and mentor. John did some research on Al and Revelle in this video and found Roger had a change of heart in his later year that Al conveniently ignored. SAN FRANCISCO - A day after President Donald Trump’s decision to pull out of the Paris climate accord, states and cities around the country are vowing to adhere to their own aggressive climate policies, independent of the federal government. Twenty states and Washington, D.C., have adopted their own greenhouse gas emission targets, according to the Center for Climate and Energy Solutions, and some press beyond the U.S. commitment under the accord, which sought to bring greenhouse emissions 26% to 28% below 2005 levels by 2025. None, however, have gone further than California, which has emerged as a national ‘leader’ (Icecap Note: biggest loser with deficits in tens of billions) on climate policy and a potentially powerful counterweight to the Trump administration’s efforts to rollback U.S. commitments. California Gov. Jerry Brown is encouraging states to pursue their own climate standards - developing his own international climate agenda, recruiting other states for climate pacts and pushing tougher standards than the federal government had under the Obama administration. Following the Thursday announcement, Mr. Brown, New York Gov. Andrew Cuomo and Washington Gov. Jay Inslee said they would form a coalition of states committed to upholding the American side of the Paris treaty deal. “California is on the field, ready for battle,” Mr. Brown said after Mr. Trump announced the U.S. would leave the deal. Former New York Mayor Michael Bloomberg, the United Nations Secretary-General’s special envoy for cities and climate change, said through an adviser on Friday that those three states, along with a coalition of at least 100 businesses and 30 cities would on Monday submit a letter of intent to the U.N. indicating the coalition would meet the U.S. goals through their own commitments. In a meeting with French President Emmanuel Macron and Paris Mayor Anne Hidalgo on Friday, Mr. Bloomberg said the U.S. will not need Washington to make good on its commitments. Mr. Brown, who has been a sharp critic of Mr. Trump’s environmental policies, said in an interview this week that “the president is not going to get very far denying science and denying reality” and says local governments must take the matter into their own hands. California had a gross domestic product of $2.5 trillion in 2015 and the world’s sixth-largest economy - bigger than most of the 190 nations that signed the Paris accord. It is responsible for about 1% of the world’s carbon emissions, according to the California Air Resources Board. Because of the sheer size of its market, and because it has a waiver from the Environmental Protection Agency allowing it to set its own tailpipe-emission standards that nine other states follow, California-emission policies can set the standard for the auto industry nationwide. The state has the most ambitious greenhouse-gas emission reduction targets in the U.S. with the goal of achieving a 40% reduction in greenhouse gases by 2030, compared with 1990 levels, in part by adding 4.2 million zero-emissions vehicles on this car-centric state’s streets and highways. By 2050, the state’s goal is to bring emissions 80% below 1990 levels. On Wednesday, the California senate passed a bill that would mandate the state gets all of its energy from renewable sources by 2045, which drew praise from environmentalists but criticism from Republicans here who fear the state will lose more business as costs rise in California. “If new technology can’t reach the goals this bill requires, it’s going to raise the price of electricity on businesses, which already pay a high cost for utilities and cite that as the number one reason they’re leaving California,” said Republican State Sen. Jeff Stone, of Riverside, Calif. Still, Mr. Brown has pushed to extend California’s climate influence beyond state lines. Since 2015, Mr. Brown has formed a coalition of entities around the world - cities, states, countries and other jurisdictions - to limit the increase in global average temperature to below 2 degrees Celsius, a key long-term goal of the Paris talks. Ten states and eight cities have joined Mr. Brown’s Under2 Coalition, encompassing about 89 million people, or about 28% of the U.S. population. In April, Canada and Mexico endorsed the measure; with that the coalition grew to include 170 jurisdictions on six continents, Mr. Brown’s office said. California has provided technical advice to Mexico and China to help those countries adopt climate policies. The governor has also forged an agreement with Oregon, Washington state and the Canadian province of British Columbia, formally aligning their climate and clean-energy policies. “The California model is helping to catalyze global action,” said Nathaniel Keohane, vice president for global climate at the Environmental Defense Fund. California has led on a key goal of climate change activists and scientists for years: developing a functioning cap and trade market, which seeks to reduce carbon emissions by imposing a limit on the amount of carbon dioxide released by industry, and then selling a finite number of permits every quarter for businesses to meet those allowances. China is now looking to California as a model for how to integrate regional cap and trade-pilot programs it already has launched, said Severin Borenstein, a professor at the University of California, at Berkeley Haas School of Business. This summer the cap-and-trade program faces a major test with the state legislature poised to debate whether to enact policies protecting and expanding the program from legal challenges after the California Chamber of Commerce sued the state, calling it an unconstitutional tax. “California’s decisions about how to run a cap-and-trade program, or how to set up other greenhouse-gas regulations, have very large impacts on the rest of the country and the world,” Mr. Borenstein said. California’s role as the nation’s climate leader isn’t new: A decade ago it carved out international deals and set policies on global warming without help from the Bush administration. Since then, California has been joined by other states, including New York and Illinois, as well as cities including Chicago and New York City, in developing shared climate goals. The state and local efforts will continue despite what the federal government does, but they won’t be as effective, said Karen Weigert, senior fellow at the Chicago Council on Global Affairs. “It is a very different world when you have a White House leading the fight on the environment, or not leading the fight,” said Ms. Weigert, who served as Chicago’s first chief sustainability officer. Mr. Cuomo last year signed legislation requiring 50% of New York’s electricity come from renewable energy sources like wind and solar by 2030. The state has a goal of reducing emission 80% from 1990 levels by 2050. In May, Virginia Gov. Terry McAuliffe, a Democrat, signed an executive order taking an initial step in setting state-level standards on cutting carbon emissions. Michigan Gov. Rick Snyder, a Republican, in December signed a measure that requires the state’s utilities to lift the amount of electricity they generate from renewable sources to 15% by 2021 from 10% in 2015. Twenty-nine states have adopted renewable portfolio standards, which require utilities to sell a certain amount, or percentage, of renewable electricity, according to the National Conference of State Legislatures. Other states are ramping up their renewable-energy generation because prices are competitive and such projects add jobs, said Rachel Cleetus, the lead economist and climate policy manager at the Union of Concerned Scientists, a nonprofit (Icecap: a non-scientific environmental advocacy group sitting on $44M responsible for destroying higher education). Texas, for instance, has become a leader in renewable-energy production, even without a legislative mandate. The state, which has a quarter of all the wind power in America, is getting 12.6% of its electricity from wind, according to the American Wind Energy Association. U.S. cities also are adopting their own policies. Los Angeles Mayor Eric Garcetti this week said the city introduced a motion to adopt the principles of the Paris agreement “as the policy of the City of Los Angeles.” Mr. Garcetti is part of a coalition of 61 mayors that has vowed to uphold the agreement. “We will intensify efforts to meet each of our cities’ current climate goals,” the coalition said. Democrats hope to use this issue in 2018 and 2020. A trillion dollars has been spent on this faux issue - (CO2 is not a pollutant but a plant fertilizer, soot is a pollutant but something we have already dealt with with technology in our power plants, factories and automobiles). Advocacy groups like the UCS, globalists and the UN under their control have forced the indoctrination of young and impressionable older people into believing CO2 is a pollutant and the cause of everything natural that is bad. The democrats use the ‘GRUBER’ method of keep repeating a lie and “since Americans are stupid people, they will believe it”. The regions where they have taken this idea forward are paying the highest prices for electricity in the country (lower 48). In Europe where the green agenda has first been implemented, electricity prices are two to three times higher. You hear the democrats yelling bowing out of Paris will hurt the poor when in fact abiding with the Paris agreement would cause electricity and energy prices to rise significantly which hurts the poor and middle class. 300,000 German households had their electricity turned off for inability to pay and over 25% of UK residents are in energy poverty, many of them pensioners. That is coming here to the cities and states which are going to commit regardless of Trump. It will cost them jobs as industry exits. They will increase already high taxes or cry to DC for help as their deficits skyrocket. 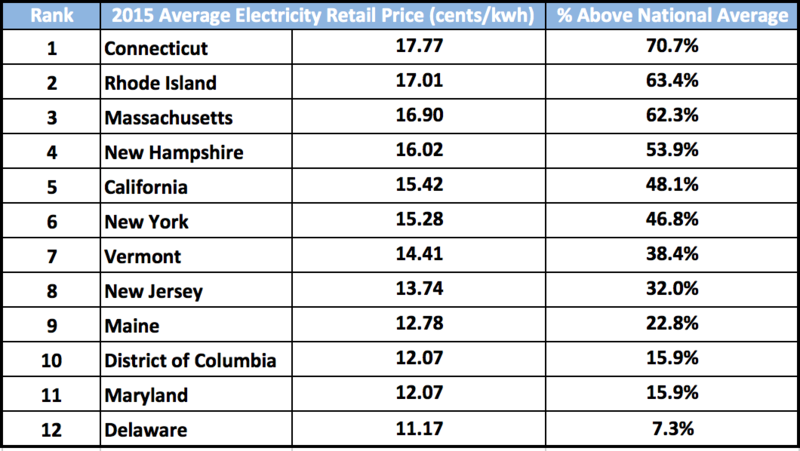 Califronia and the green northeast which established the regional Greenhouse Gas Initiative (RGGI) pay the highest electricity prices in the lower 48 states already. Rather than get bogged down in the “science” of climate change - an elephant trap so arranged by climate alarmists to make anyone who disagrees with them look ignorant or “anti-science” - he cut to the chase and talked about the important stuff that hardly ever gets mentioned by all the other politicians, for some reason: the fact that the climate change industry is killing jobs. And it also has the virtue of being true. Sure the actual figures may be guesstimates, but there’s no question that the tenor of his argument is quite accurate: climate regulation like the Paris agreement makes energy more expensive, slows economic growth and kills jobs, especially in the heavy industrial and fossil fuel sectors. This argument ought to be low hanging fruit to any half way intelligent politician: it’s such an obvious way of connecting with the workers. Yet Trump is the only one who has ever said it. And hearing him say it was a reminder of why it was that he won the presidential election. He connects with his people in a way that so many politicians just don’t. Compare and contrast with the other world leaders: Merkel, May, Macron, Trudeau, Turnbull - not one of those charlatans dares tell the truth about the global climate change industry, that it’s a racket which achieves nothing but simply transfers wealth from Western nations to countries like India and China. The other clever thing about that speech, of course, is that he’d kept us guessing to the last. Me included. I thought he was going to fudge it much more than he did; that he’d end up compromising to please Ivanka. But with this speech on Paris, President Trump has delivered. Just when even some of his fans were starting to doubt him, he has made his presidency great again. Paris Accord : Cornwall Alliance Celebrates Withdrawal from Paris Climate Agreement! President Trump’s announcement today that he is withdrawing the United States from the Paris climate agreement is a milestone, and we hope you won/t mind if we at the Cornwall Alliance say we’re proud to have helped bring it about by educating the American people and policymakers on the science, economics, ethics, and theology of climate change and climate and energy policy. Our press release is below, and we invite you to celebrate with us and, especially, to render thanksgiving to God in prayer! Burke, VA, June 1, 2017 - President Donald Trump today announced his decision to withdraw the United States from the Paris climate agreement. “Not only Americans but people all over the world should celebrate,” said Cornwall Alliance Founder and National Spokesman Dr. E. Calvin Beisner. President Trump’s decision took courage in the face of pressure from many world leaders to remain in the agreement. Why would someone like Hansen say that? And as President Trump said today, the Paris agreement is predicted by its proponents to “reduce global temperature by no more than 2 tenths of a degree Celsius.” That reduction would cost $23 to $46 trillion per tenth of a degree Fahrenheit - an amount that will have no effect on the environment or human wellbeing. And that’s assuming the alarmist predictions are accurate. Real life observations have proven the models, the only basis for those alarmist predictions, to be completely false. So not only is it all pain and no gain, it’s all pain and no gain for no reason. We are grateful to President Donald J. Trump for his thoughtful exploration of the issues, his courageous leadership against great pressure, and his willingness to stand up for the American people. But it is important to note that withdrawing from the Paris agreement, and opposing other environmental alarmist policies, is not just good for Americans, it is good for the citizens of all countries - especially the poor. We are celebrating this victory, but there is still so much more to be done. Climate alarmists will only turn up the heat now, and we’ll need to continue to fight them tooth and nail. If you would like to make a donation to support the work of the Cornwall Alliance in opposing radical environmental policies. Topline: The Paris Accord is a BAD deal for Americans, and the President’s action today is keeping his campaign promise to put American workers first. The Accord was negotiated poorly by the Obama Administration and signed out of desperation. It frontloads costs on the American people to the detriment of our economy and job growth while extracting meaningless commitments from the world’s top global emitters, like China. The U.S. is already leading the world in energy production and doesn’t need a bad deal that will harm American workers. * According to a study by NERA Consulting, meeting the Obama Administration’s requirements in the Paris Accord would cost the U.S. economy nearly $3 trillion over the next several decades. * The Obama-negotiated Accord imposes unrealistic targets on the U.S. for reducing our carbon emissions, while giving countries like China a free pass for years to come. * America has already reduced its carbon-dioxide emissions dramatically. - Since 2006, CO2 emissions have declined by 12 percent, and are expected to continue to decline. - According to the Energy Information Administration (EIA), the U.S. is the leader in oil & gas production. - With $20 trillion in debt, the U.S. taxpayers should not be paying to subsidize other countries’ energy needs. Best practice in science is achieved through a minimum of two critical conditions: humility and perspective. If humility and perspective are ignored, science suffers. The field of climate science is suffering from some lack of both humility and perspective. This deficiency in climatology may certainly be unintentional. But, it is quite possible that the atmospheric topic of utmost interest and importance to many scientists and laymen alike - Earth’s future climate - has been degraded by groupthink. If so, the degradation by groupthink likely originated in the halls of academia, arguably the locus of the largest echo chamber on the globe. Therein, schoolyard science, with its frequent go-along-to-get-along environment and immature, name-calling attitude, can germinate and thrive. Moreover, an exemplar of hubris is academic certitude over long-range climate outlooks - confident predictions of not just near-future average global conditions, but regional and local climes, for not just decades, but centuries into the future. Indeed, sophisticated climate studies involve the highest level of computer modeling and require the brain power and computational capacity available in the academic community. But, because of the complexity of the challenge, a broad perspective is also required, and the campus, schoolyard setting is somewhat limited in this regard. Enter the government to finance and run resource-intensive climate models and yet add its own inherent bias. Government assistance often brings politically-driven science, cost overruns, redundant efforts, and the like. Yet science is never really settled, especially when the perspective of a large group of well-qualified contributors are ignored or denigrated. Atmospheric-science practitioners with years of field experience have been marginalized, and with them their fruitful insight into the operations of the climate system. Many “contrarians” have challenged the carbon-dioxide-increase-leads-to-disastrous-climate-disruption hypothesis with, for instance, the fundamentals of atmospheric physics and chemistry that point to the controlling impact of water on the atmosphere. Water in all its phases - as ice in glaciers, snow cover, and cloud particles; as liquid in the oceans, cloud droplets, and rain; and as invisible airy vapor - mitigates temperature extremes and its related climate connections. Furthermore, in addition to noting the substantial, and sometimes overwhelming, climatic influence of the occasional El Nino, Pacific Decadal Oscillation, North Atlantic Oscillation, and the like, challengers have also advanced concepts such as cosmic ray linkage with cloud condensation nuclei formation at different altitudes of the troposphere, stratospheric ozone depletion’s relationship with global warming, and the well-documented variation in solar radiation impact on temperature trends. And, nothing beats proof of concept like reality. For nearly 20 years, global mean temperatures have been stubbornly stable when according to revered climate model predictions those temperatures should have been displaying a dramatic increase. As physicist Richard P. Feynman once observed: “It doesn’t matter how beautiful your theory is, it doesn’t matter how smart you are. If it doesn’t agree with experiment, it’s wrong.” And, by extension, if your climate model’s forecast doesn’t agree with observation, it’s wrong. While arrogance yields ignorance, humility is graced by wisdom. And, while narrow thinking limits expanded understanding, perspective broadens horizons. At the risk of overdosing alliterations: An air of arrogance leads to an atmosphere of fear over pretentious predictions of a climate of calamity. The outcome: People and planet suffer from misdirected talent and taxes. The remedy: A potent prescription of humility and perspective. Anthony J. Sadar is a certified consulting meteorologist and author of “In Global Warming We Trust: Too Big to Fail” (Stairway Press, 2016).